Golf betting is something that many people actually overlook. 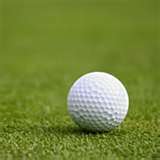 Ã‚Â The sport of golf is very popular worldwide, and many of the biggest events in the world are spread out all over the place. Ã‚Â While many people may love watching it, that doesn’t necessarily mean that they are getting on top of betting it, and that is a huge mistake if not! Ã‚Â Betting on golf can be incredibly profitable, especially if you know what to look for and take advantage of the best betting options on the board. Ã‚Â Today we are going to look at some of the betting options that will be offered for major golf tournaments, and also explain more in-depth how to bet on the sports as well! Futures bets in golf work quite a bit differently than they do in many other sports. Ã‚Â When you are betting on the winner of a major event, you really aren’t betting that far down the road. Ã‚Â It could be a few months, or even a few weeks away when you are placing your bet on who you think will win an event. Ã‚Â This is the best way to get very good odds from a sports betting site on a player to win the event, and if you have a strong feeling that one player will get the edge over the rest of the field, you could get an excellent return on your money. Ã‚Â Even the favorites in events will even feature odds between +500 and +1000 in most situations, so if you do some research and feel confident make sure that you get a bet down on who you think will in a major tournament! Obviously during a golf tournament you’ll find that two players aren’t actually going head to head unless the two players end up going to a playoff at the end of the event. Ã‚Â That does not mean that there aren’t head to head matches in terms of sports betting though, and these are actually some of the most popular betting options on the board. Ã‚Â You’ll find that if you head to a site and click under the head to head match-ups for a specific tournament that there will be multiple different options for you to bet on in terms of head to head matches. Ã‚Â Often times these matches are randomly selected so the odds are going to vary quite a bit, but if you find a match-up that features pretty good odds for a strong player it can be an excellent betting option! Ã‚Â Before you do anything though just make sure to research the match and how each specific player does at the course that they will be playing at. Betting on golf can make an entire event a completely different experience, mainly if you have multiple things to watch for like a player to win the event, and also a head to head match or two. Ã‚Â Just make sure that you don’t get caught up with betting on long shots who realistically don’t have much of a shot to win the event as that’s the quickest way to burn through money!